Kids may not exactly set sail to anywhere during a nautical-themed party but they can play various nautical-themed games. Kids will definitely be entertained and challenged when they play these games -- some of which are simply variations of games that they already know. 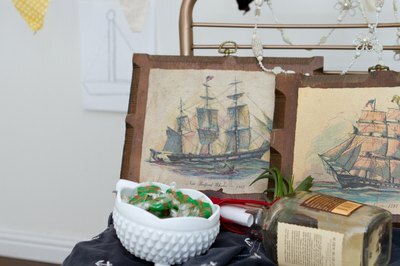 Party guests can compete with one another playing exciting nautical-themed games. Give everyone who wants to play a piece of construction paper. Each player makes his own paper sailboat from the construction paper. Fill a plastic kiddie pool with water where the participants can race their boats. Play several games if you have a small pool and lots of players. Each person places her boat in the water and does what she can, such as blowing on her boat or making waves in the water, without touching the boat. Whoever reaches the end of the pool or the finish line first wins the game. Find a toy treasure chest or make your own and fill it with different kinds of nautical items. 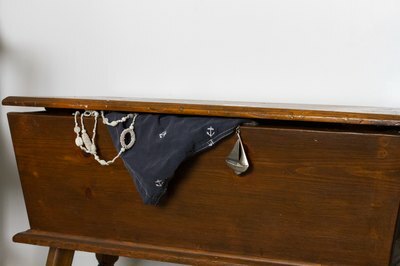 Some of the things that you can put in the treasure chest are a toy anchor, nautical flags, a toy sailboat, a bag of sand, a rope, a telescope and shells. Have everyone look into the treasure chest for a few seconds. Give each player a piece of paper. Have the players take a minute or two to list as many items as they can remember seeing inside the treasure chest. Whoever lists the greatest number of items correctly wins. Divide party guests into two teams with equal numbers of players. Each team gets a suitcase filled with oversized clothes, such as white pants, a sailor's hat, a striped shirt or sailor shirt, a blue blazer, a red scarf and deck shoes. Have each team line up side-by-side and place the suitcase several feet away from the first person in line. The first player in line for each team runs to the suitcase, puts on all the clothes over his clothes and runs back to the next person in line. The first player removes the clothes he just put on so the second person in line can put them on. The second person then runs to the suitcase, takes off all the clothes, puts the clothes back in the suitcase and runs to the back of the line. The next player in line does the same as the first player, and the game continues until everyone has had a turn putting on the clothes. The first team to have all team members finish wins. Pin the sail on the boat is, of course, a variation of pin the tail on the donkey. 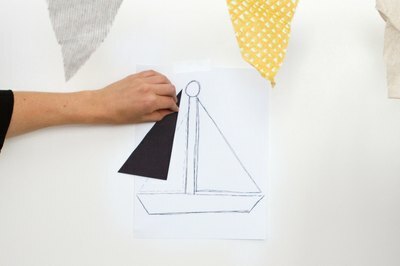 Draw a boat on a large piece of paper and tape it to a wall. 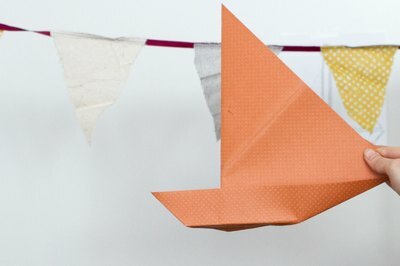 Give each player a sail cut out from a piece of paper. Place tape at the back of each sail. Players line up and take turns trying to pin the sail on the boat while blindfolded. The player who pins the sail with the best possible positioning on the boat wins.